Whoa, guys! (This is going to be an epic post.) It's just been a really fantastic summer so far. And we're only, what...two weeks in!? I'm going to explode or something. Anyway, like I said. This is going to be a kickbutt post. For two reasons: 1) It's a guest doodle! and 2) I'm posting a crazy cool animation that you guys just have to check out. But first! A little background for you. The guest doodler for the day is my dear friend Ankit. He's beyond talented! I can't say that I know the animator of the video, but my friend David was the one that linked us to it. Ok, shutting up. 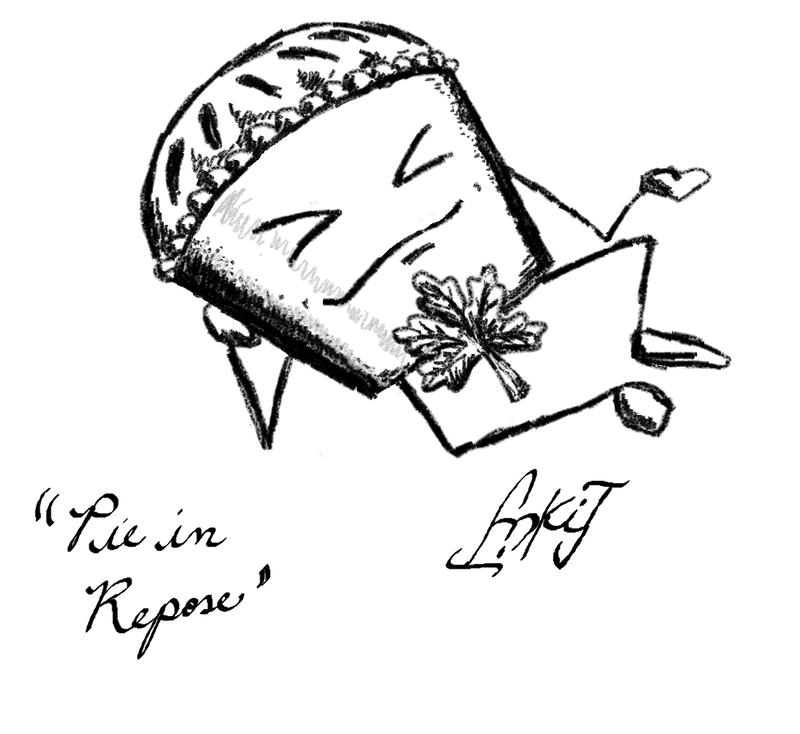 Ankit will be gracing us with his AWESOME doodle series "Pieman" from time to time. He also does amazing collage thingies. I'm not sure what you call them, but maybe he'll let me post one, because...WOW. Hope all this talent rubs off on me somehow. It's almost the weekend! Have a great one! Go get some ice cream. I'm going to see Toy Story 3. OHYEAH. Hehe. I can't take credit for it!